The death of Venezuela’s President Hugo Chavez has left Cuba in a precarious situation that the island’s longstanding revolutionary government is all too familiar with. The collapse of the Soviet Union over two decades ago left Havana reeling in search of much needed trade partners, subsidies and financial aid while living standards for the average Cuban dropped to levels unknown by an entire generation of citizens born into communism. Once again, Cuba’s 11 million inhabitants find themselves holding their breath, wondering how they will get along in the absence of a charitable bilateral trade partner capable of serving as a crutch for their hobbling economy. During the first three decades of Castro’s Cuba, preferential trade agreements allowed Cubans to live well while their economy continued to grow in the face of a US trade embargo that would have been otherwise crippling. The collapse of communism in Eastern Europe over two decades ago translated into a loss of almost 80% of Cuba’s international trade. No longer could Fidel Castro expect to send sugar and tobacco to the Soviets at inflated prices in exchange for indispensable agricultural and industrial inputs. The harsh realities of an international system sans the Soviet bloc began to set in quickly and the extent of Cuba’s dependence was being felt by everyone. The 1980s were termed on the island “the years of the fat cow” because of the relatively high standard of living enjoyed by Cubans – by the 1990s they found themselves struggling during the infamous “special period”. Much like the Cuban economy, quality of life plummeted, average daily caloric consumption dropped and the government was forced to take a hard look inward to implement much needed reforms that would allow the revolution to continue and meet citizens’ basic needs. Cuba’s food crisis in the early 1990s forced a rapid reconfiguration of the country’s agricultural sector as it shifted from being predominantly industrialized and homogenous to diversifying itself through organic farming to meet the local population’s food needs. In desperate need of foreign investment, large-scale tourism was introduced in collaboration with private investors from Canada and Europe. For the first time in nearly 40 years, limited opportunity existed for Cubans in a private sector that had been otherwise non-existent. The special period illustrates the resilience and adaptability of Cuba’s Revolution during trying times, but it also brought to light the dichotomy of an isolated communist regime in an increasingly interwoven international system. Enter Hugo Chavez circa 1998 – the charismatic populist leader whose domestic and regional visions of progress were in line with that of Cuba’s ruling elite. The nationalization of Venezuela’s oil industry provided him with an indispensable domestic and foreign policy tool that would improve the lives of the country’s poor and exert Venezuela’s influence regionally. Once again, Havana had found itself an ideologically compatible trade partner with the will and capacity to inject life into an economy that had never fully recovered from the loss of its former. Chavez’s consecutive terms in office ranging from 1999 up until his recent passing saw a flurry of bilateral trade and developmental agreements signed between Havana and Caracas as the leaders of both countries became very close. Cuba’s oil needs were met in exchange for professional services (mostly in medicine, education and sports) through a series of bilateral agreement that were extremely beneficial for the Cuban economy. This growth however has created yet another situation of dependence and it is clear that policy makers in Havana were expecting at least another four years of extremely favorable trade terms considering Venezuela accounts for the lion’s share of imports to Cuba. 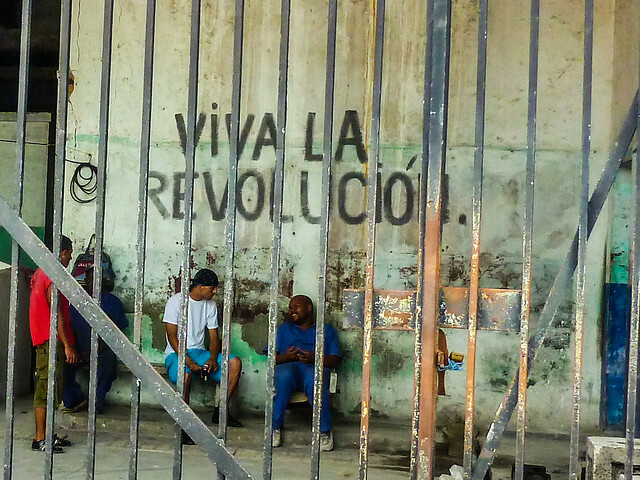 This is not to say that Cuba’s leaders have not learned from the lessons of the past. In recent years there has been an unprecedented opening-up of the economic system due to the painful realization that stringent top-down economics have become unsustainable. In an attempt to diversify economic activity and lessen the burden on the state of a gargantuan public-sector, Cubans are now able to register their own businesses, hire employees and own property; reforms which were unfathomable only a short while ago. Nonetheless, the well-being of Cubans and subsequently their government’s revolution continues to depend heavily on Venezuelan subsidized oil so the implications of Venezuela’s upcoming elections will be massive. A few days following the death of Chavez, Cuba’s national newspaper headline read “We have lost our best friend”, and this is in no way an overstatement. Regardless of who is elected, it does not appear that Havana will continue to receive the same kind of support it has grown accustomed to under Chavez. 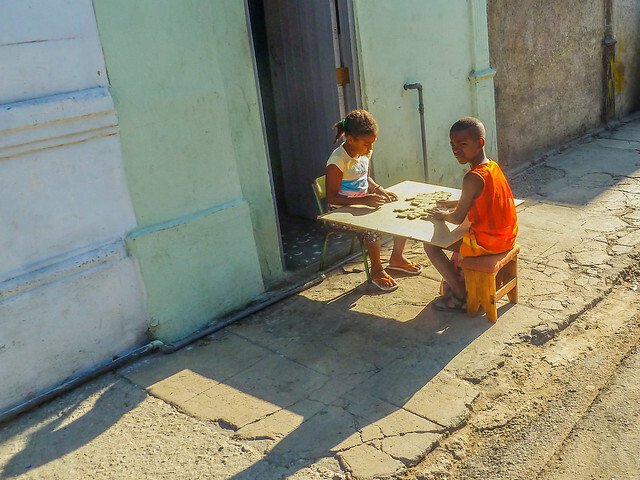 It is extremely likely that Cuba’s revolutionary government will find itself at yet another crossroad as the Caribbean Island braces for what has the potential makings of another “special period”.